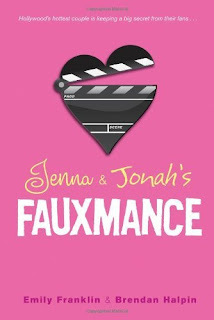 Fans of romance don't need to look any further than the fauxmance brewing between teen idols Charlie Tracker and Fielding Withers—known on their hit TV show as Jenna and Jonah, next-door neighbors flush with the excitement of first love. But it's their off-screen relationship that has helped cement their fame, as passionate fans follow their every PDA. They grace the covers of magazines week after week. Their fan club has chapters all over the country. The only problem is their off-screen romance is one big publicity stunt, and Charlie and Fielding can't stand to be in the same room. Still, it's a great gig, so even when the cameras stop rolling, the show must go on, and on, and on. . . . Until the pesky paparazzi blow their cover, and Charlie and Fielding must disappear to weather the media storm. It's not until they're far off the grid of the Hollywood circuit that they realize that there's more to each of them than shiny hair and a winning smile. 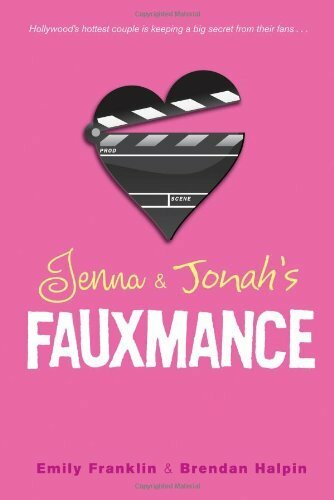 This book is a fun quick read following the story of two teenage stars who play the leads in a fictional tv show in which the characters are a couple. The network is keen to promote them as a couple so they have been forced to pretend they have a similiar romantic relationship in real life. I did enjoy this book even though it probably something I would have never picked up myself. I liked both of the main character and I loved seeing how they interacted with each other and how it contr...moreThis book is a fun quick read following the story of two teenage stars who play the leads in a fictional TV show in which the characters are a couple. The network is keen to promote them as a couple so they have been forced to pretend they have a similar romantic relationship in real life. I did enjoy this book even though it probably something I would have never picked up myself. I liked both of the main character and I loved seeing how they interacted with each other and how it contrasted when they were and weren't on show. Of the two I liked the male lead the best and loved getting into his head on the chapters from his point of view. I particularly enjoyed hearing they they viewed each other and found especially interesting the things they thought but didn't say to one another. My favourite part of the book has to be the section when they are alone together in the house in the middle of nowhere as I thought this was the part of the book where their relationship developed the most and you started to get a feel of what they were like as people. The story also raises a lot of questions about fame and the false facade people are forced to put up in the name of keeping up appearances. The ending was really sweet - I really liked how it played out. All in all a fab little book which was fun to read, with likable characters and a pacey storyline. I've been dying to read this! I'm glad you enjoyed it (and that it has a good ending) - it sounds like a really cute read. Thanks for the review. Like you I don't think I'd ever have picked this up, but reading yours and a couple of other reviews, I might just give this one a go. Oh definitely not one I'd normally pick up on my own, but it was for sure very cute and fun to read. Brilliant review :) I have this one too and it looks like being a really fun read.